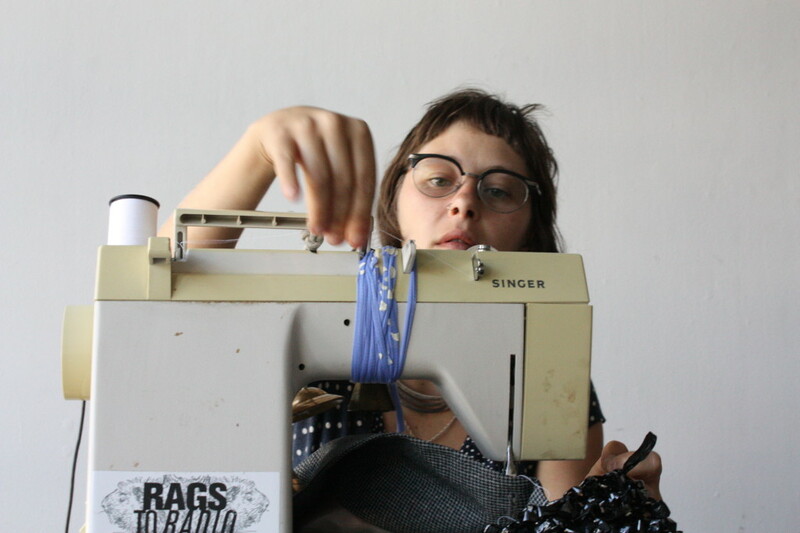 On July 5th, 2013, artist Lisa Simpson transforms grunt gallery during a full-day performance involving sewing, music and sound, and social interaction. The project, Agente Costura, questions clothing consumption habits, bringing forth a discussion around the sustainability of the fashion industry. Unwanted apparel is reconstructed into new garments and fashions through a sewing practice that Simpson refers to as “Upcycling”. Attendees are invited to search their wardrobes for clothing to bring to this event; the artist then reimagines these items through an interactive process. Viewers are also encouraged to bring a song that they wish to hear while this textile transformation takes place. The sound influences the alterations as the artist sews to the beat of the music. During the evening, Simpson brings musicians together with a rhythm provided by The Singer, the artist’s sewing machine. The public is invited to dress up, with various costume accessories and garments that transform them from viewers into performers, creating an intervention that merges the act of live music and live sewing. 2pm – 7:30pm: Visit grunt gallery with an article of clothing and a song of your choice. 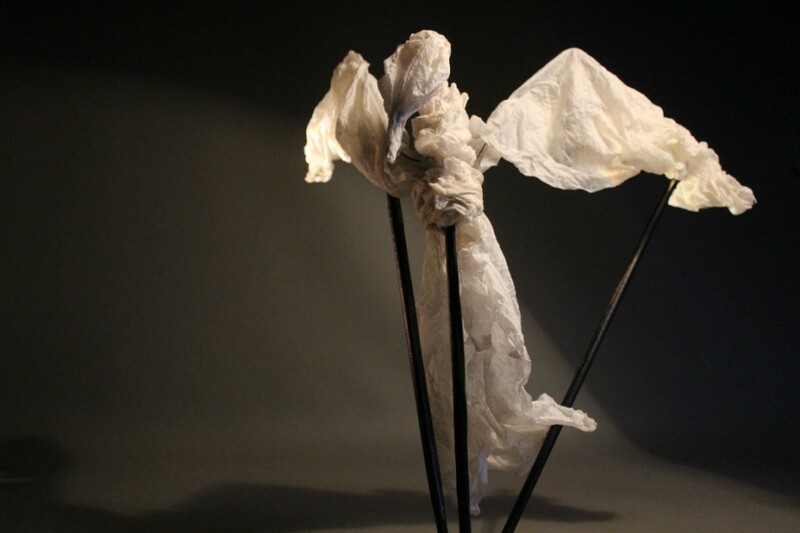 The artist will be constructing a fabric apparatus to hang textile creations and will be upcycling articles of clothing. 8pm – 10pm: Stop by grunt gallery to hear the musical performance. Agente Costura’s Lisa Simpson at grunt gallery from VANDOCUMENT on Vimeo. Artist: Michael de Courcy (w/ Glenn Lewis, Gerry Gilbert, Taki Bluesinger); Emilio Rojas, Guadalupe Martinez, and Igor Santizo. 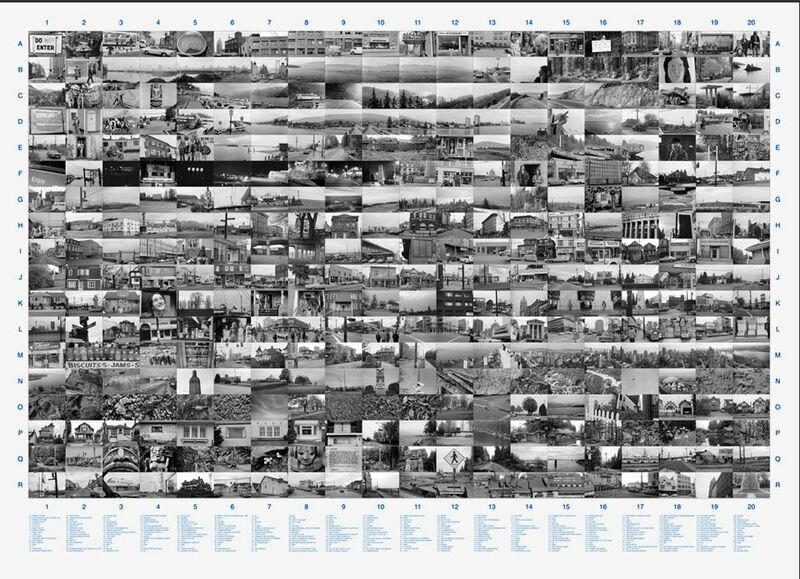 grunt gallery presents a retrospective and collaborative project based on Background / Vancouver, a photo-mapping expedition of Vancouver by Michael de Courcy with Taki Bluesinger, Gerry Gilbert, and Glenn Lewis on October, 30 1972. The project consists of the four artists walking three separate paths documenting their experiences in photographs. The project resurged in 2012 when Michael de Courcy launched the website Background / Vancouver project, exposing this unique perspective of Vancouver’s 1972 identity to new audiences online. grunt will be exhibiting the original photo mural conceived and produced by Michael de Courcy as part of an ongoing photographic documentary project of Vancouver’s artists collective, Intermedia society. revisits ideas about Vancouver’s identity and history. The retrospective project is entitled, ThisPlace / Vancouver. The group explores the aspect of the social; through conversations, meetings and experiences with people met during the expedition on October 30, 2012. The artists document their experiences using video, sound, and still-based images. A new dialogue emerges that reflects on how choices about documentation, narratives and mapping, from the past to the present, inform a contemporary perspective of Vancouver. The artists question how one tells a story of identity and an ever-changing urban landscape that is inclusive to varied experiences based in history, people, and artists from the past and to the present. Several multi-media and performance-based projects by Emilio Rojas, Guadalupe Martinez, and Igor Santizo will be concurrently exhibited at grunt. The opening reception will take place on May 10, 2013 (7-10pm) and will run until June 8, 2013. Subsequent artist talks and panels will take place in May, following the opening exhibition, to help inform an ongoing discourse (Check grunt.ca for more details). Discussions held at these meeting will contribute to the web-based component of this project will be launched on October 30, 2013. Emilio Rojas was born in Mexico City, (ca.1980s) ,he is an interdisciplinary artist, working primarily in performance, interventions, video, installation, and sculpture. His works explore the relation between the artist and his audience, interacting and exchanging roles, while involving the communities that surround the spaces he engages with. Rojas requires the participation of the viewer, in order to set in motion the metaphors that unveil the intricacy of his art. The intrinsic relation with the body has been both his subject matter and medium. Exploring the mental and physical limits of his being, Emilio re-evaluates language, gender, activism, traditions, identity, ritual, displacement, migration and sexuality. Emilio Rojas is currently living in Vancouver, Canada, where he is exploring collaboration, alternative exhibition spaces, with a focus in social practice and public interventions. Guadalupe Martinez is an Argentine-born artist based in Vancouver. She obtained her BFA at the Instituto Universitario Nacional del Arte and is currently pursuing an MFA at University of British Columbia. Her research combines three-dimensionality, performance, and site-specificity by creating works that mnemonically activate found materials; reanimating their meaning into new structures of signification and resistance. Martinez has attended residencies at Hammock Residency (BC), The Banff Centre for the Arts (AB), The STAG (BC), Elsewhere Collective (NC), and The Vermont Studio Center (VT). Her work has been shown in Argentina, Mexico, US and Canada. She is currently working as a Teacher Assistant at the University of British Columbia and is a member of the LIVE Biennale’s Board of Directors. Igor Santizo is a creative free agent living and working in Vancouver. He teaches & facilitates: creative process, foundational principles, cultural literacy and more … while encouraging students with their creative potential, emerging selves and budding art practices. By way of his artwork, he has sought a complimentary dialogue between: metaphysical principles & material forms. Currently, he is exploring through drawings: variations of an abstract motif, allusion to cthonic force. 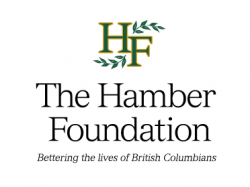 Developed with the participation of British Columbia Film & Media and the British Columbia Arts Council. A special thanks to Modo The Car Co-op for supporting the transportation component of ThisPlace / Vancouver. Grunt gallery is pleased to exhibit Strange Songs of Trust and Treachery by Vancouver-based artist, Laura Lamb. The exhibition features several installations that reveal the curious fictional world of Lamb’s Performing Objects. The artist describes Lamb’s Performing Objects as “An umbrella project including videos, installation, drawings and texts, in which all parts work together as a collage. Each fragment informs the others to evoke a fictive world of wandering performers, some human, some almost human, who through song, story and circus ravel and unravel 20th century cultural mythologies. Russian lacquerware, rusty metal household objects and clockwork mechanisms perform in Bits and Tatters, the first installment of a video trilogy. Accompanying this video is a song that Lamb wrote and produced with composer and singer, Beverly Dobrinsky. The opening reception for Strange Songs of Trust and Treachery will be held at grunt gallery on Friday April 5, 2013 from 7-10 pm. The exhibition will run from April 5 – May 4, 2013. Laura Lamb was born in Kenora, Ontario, in 1955 and grew up on Lake Lulu where the family owned Lamb’s Camp, a small tourist business. She was a “red diaper baby,” meaning that her parents were communists. Kenora is not far from Winnipeg and Laura dropped out of high school in that city in 1971. She dropped back into school in the 1980s, earning a BA at SFU Centre for the Arts, where she studied with Jeff Wall, Greg Snider and Kaja Silverman, and an MFA at the University of Victoria, studying with Fred Douglas, Roland Brenner and Mowry Baden. Before creating the umbrella project and fictive world of Lamb’s Performing Objects, Laura created bodies of work in video and photography, which have been exhibited and collected nationally and internationally. grunt gallery is pleased to announce the exhibition of Gutter Snipes I by Canadian artist Cal Lane. Gutter Snipes I is an aluminum coated steel sewer pipe that is carved away into an ornate collage of figures and organic designs. This positive relief sculpture reveals a collision between the damned and the divine. The definition of “guttersnipe” refers to a street urchin in the slums of a city or a person of the lowest cast in society. Within the patterns of Cal Lane’s Gutter Snipes I, cityscapes emerge amongst clouds of curls and vines; angels cradle fanged animals while small creatures nip at the heels of silhouetted figures. Those that appear to be falling within the cutout sculpture could be ascending within the reflection of softened shadows. “I like to work as a visual devil’s advocate, using contradiction as a vehicle for finding my way to an empathetic image, an image of opposition that creates a balance – as well as a clash – by comparing and contrasting ideas and materials.” – Cal Lane, artist statement. Gutter Snipes I juxtapose industrial materials and tools often used in blue-collar, masculine environments, with designs commonly used in textiles, such as lace, veils or tapestry, referencing feminine practice and use. 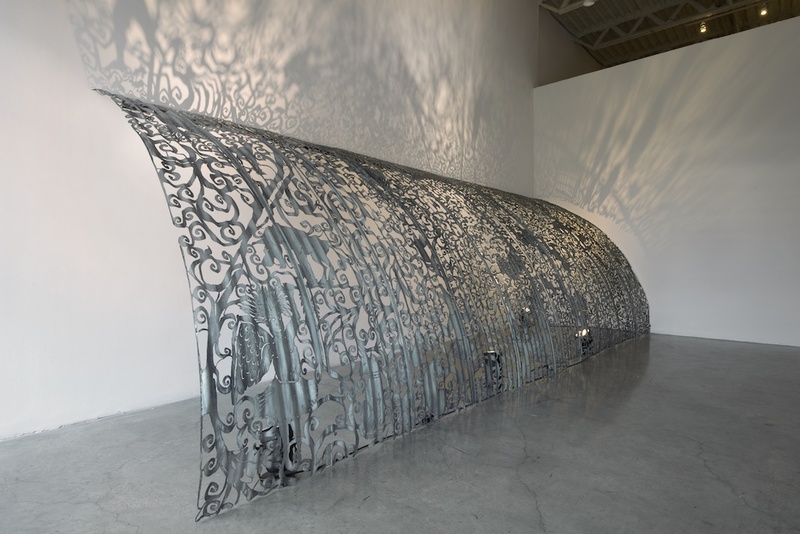 This compare and contrast relationship is evident with Cal Lane’s sculpture which creates a multi-dimensional environment that spans from the expansive steel-cut object to the furthest reaches of the sculpture-lit shadows. Currently based out of New York, Cal Lane grew up in Saanichton, British Columbia. This is her first exhibition in Western Canada. Gutter Snipes I will run at grunt gallery from Feb 15, 2013 – March 23, 2013. “Holding Our Breath” by Adrian Stimson, is a large-scale installation based on the artist’s first hand experiences and observations at a military base in Kandahar, Afghanistan. The work is informed by conversations Stimson had with soldiers, some of which were First Nations, and his impression with daily life occurring at the military base situated in the vast Middle Eastern landscape. “…This exhibition brings together drawings, photographs, video and sculptural installations that explore the ambiguities of war by linking personal history with wider cultural and political issues. Although this work reflects on the complex situation in Afghanistan, Stimson deflects the focus away from the truncated newsreel moments to daily life affirming moments.” – excerpt from, “Holding Our Breath: The Work of Adrian Stimson” by Elizabeth Matheson. The work includes the Stimson’s own personal perspective of serving in the military as well as his family’s history serving in the Canadian military as soldiers and historically as Blackfoot warriors. These experiences, in addition to Stimson’s time spent in Kandahar, allows the artist to approach these topics from a perspective that questions the essence of conflict and how this links between personal, cultural, and military identity. The artist will be in attendance at the opening reception on Friday, January 4th, 2013. This exhibition will run until Saturday, February 9th, 2013. Born in Sault Ste. Marie, Ontario, Adrian Stimson is a member of the Siksika (Blackfoot) Nation in southern Alberta. His work includes installation, painting, performance, video, and photography. Performances at Burning Man on the Black Rock Desert, Nevada, have created “Buffalo Boy” as well as the “Shaman Exterminator” who seeks to explore the myths, falsehoods and realities of Shamanic being. He lives and works in Saskatoon, Saskatchewan. 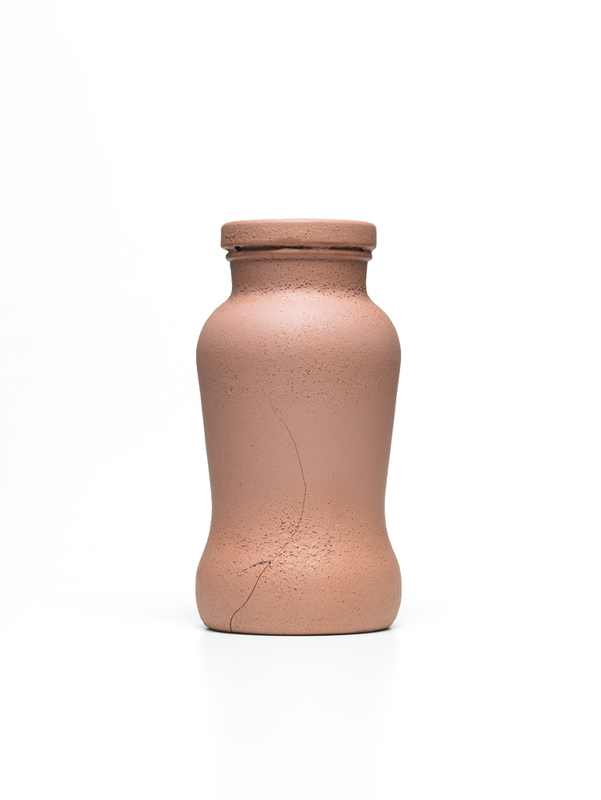 Artist Mark Mizgala presents posters of pop bottles and other containers coated in slip, creating a look of ancient clay vessels in this off-site exhibition entitled, Remains. Mizgala investigates contemporary food and beverage packaging, represented as mock archaeological findings. The artwork appears in a form that is intrinsic to advertising: posters printed on commercial-grade paper and displayed in bus shelters across the City of Vancouver. Having worked as an art director for most of his professional career, advertising is familiar territory for Mizgala. He is fascinated by the corporate machine, its by-products, and the manner in which they are presented in popular culture. Mizgala immortalizes on film that which is already immortal: garbage, enjoying a particularly long life in our landfills, rivers, and ocean floors. The poster series is a testament to long-term environmental impact – a sharp contrast to the ephemera of advertising and mass media. This exhibition runs from Wednesday, December 12th, 2012 to January 6th, 2013, punctuating a seasonal month known for its increased advertising meant to encourage inflated consumerism. Working with the City of Vancouver’s Transit Shelter Advertising Program, grunt gallery has facilitated the production and distribution of the posters across the city as an off-site exhibition. Mark Mizgala was born in Montreal in 1963, and graduated from the Ontario College of Art and Design in 1987 where he was awarded full scholarship for three consecutive years. In his graduating year he was the recipient of the prestigious Ontario College of Art Medal. After attending the School for the Contemporary Arts at Simon Fraser University, Mark began working in Vancouver as an advertising art director, and went on to win numerous international awards for creative excellence, including Cannes, The New York One Show, Communications Arts Magazine, and Archive Magazine. Mark was nominated for Best Art Exhibit of 2011 in the Ottawa Xpress Magazine’s Best of Ottawa reader’s poll. His work is in collections throughout North America and Europe. PLEASE NOTE: Although this exhibition is off-site, the opening reception will be held at grunt gallery. Burrard 28m North of Pacific, East Side. W. Georgia 34m East of Broughton, South Side. Granville 35M North of Robson, West Side. Pacific Blvd 20M North of Davie St, East Side. 6th Ave 77M West of Cambie St, North Side. Commercial 20m North of E. 14th, East Side. W. 10th 20m East of Tolmie, South Side. W. 16th 28m East of Trimble, South Side. W. 49th 36m West of West Blvd., North Side. “The Sea Is A Stereo” by artist Mounira Al Solh, introduces us to a group of men who swim daily at a beach in Beirut, Lebanon. This practice of swimming takes place despite varying circumstances relating to weather, the change of seasons, and the conflict of war and politics. The work is made up of several elements that use video, photographs and audio-recorded interviews. While these men are connected through their swimming ritual, Al Solh further connects these men to their surroundings, practice and socio-political issues by means of a visual and audio-based installation. This exhibition will take place in the main front room at grunt gallery. The exhibition will also include a newly created work by Mounira Al Solh, entitled, “A Double Burger and Two Metamorphoses: a proposal for a Dutch Cat, a Dutch Dog, a Dutch Donkey, a Dutch Goat and finally, a Dutch Camel”. 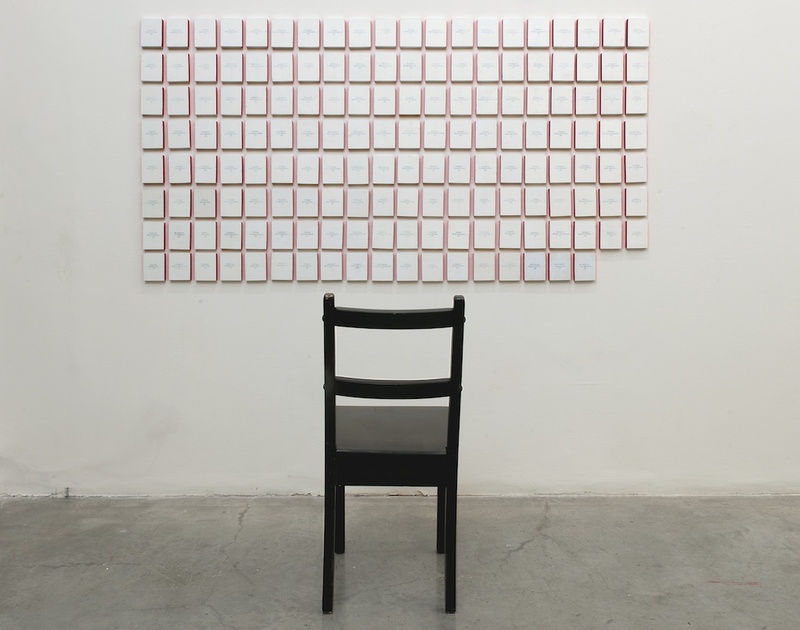 An ongoing project created in 2010, the artist forces herself to be locked inside an empty house for three days while she communicates through scripted conversations. Al Solh talks both as herself and as different animal personas: “We speak about the difficulty of reading different philosophers and thinkers like Rousseau, Lyotard, Taussig and Multatuli. And also about the impossibility to dance slow, or to get a hug or a kiss when most needed, for instance.” Through this theatrical process, Al Solh finds a method to refer to the process of waiting for residency through video and the construction of cuckoo clocks, which operate as an Entr’acte, meaning “between the acts.” This project will be exhibited in the gruntKitchen Media Lab. The exhibition will run at grunt gallery from October 11th to December 1st , 2012. This exhibition is a part of the Institutions by Artists week; Vancouver artist-run centres and community partners will present special projects that link to the themes of the Convention. 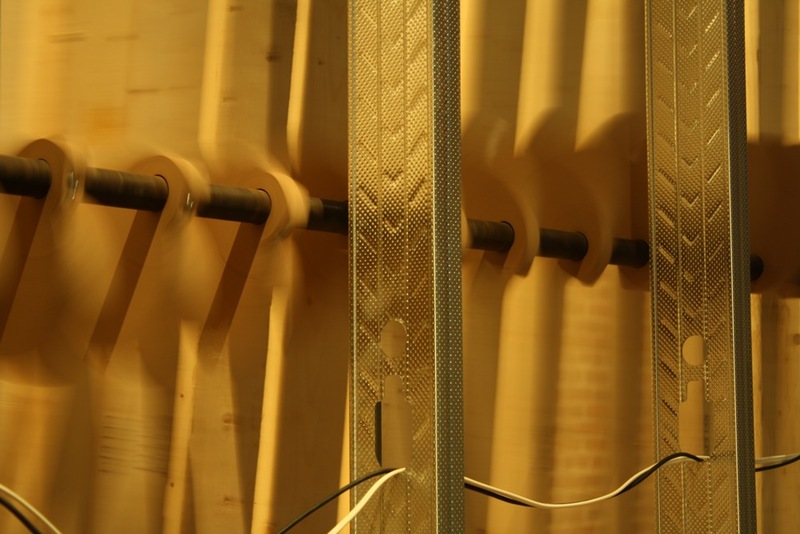 Grunt gallery is pleased to present an electromechanical installation by Montreal artist Jonathan Villeneuve. This exhibition is occurring in conjunction with SWARM and the New Forms Festival. Do The Wave, 2009 (Faire La Vague) will be on view at the gallery until Saturday October 6. Villeneuve makes poetic machines by assembling familiar materials that he barely transforms. 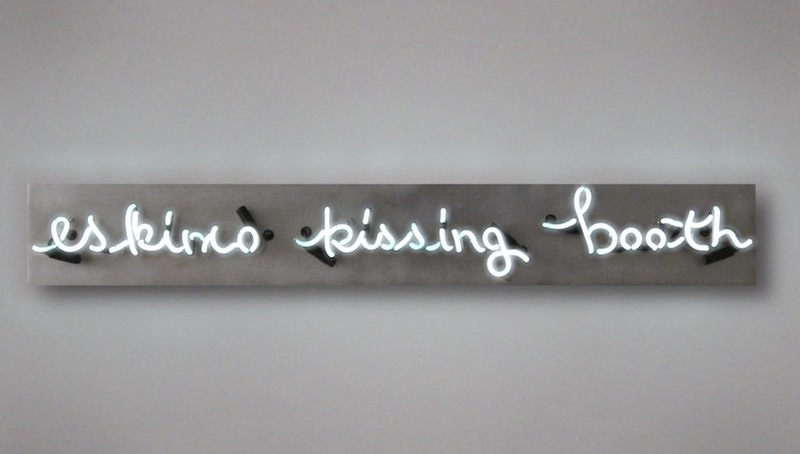 His works move, emit light and produce sounds in ways that challenge one’s assumption about it’s imaginary function. “My work is made out of common objects and materials – familiar elements that evoke the architecture of the everyday. I assemble these elements in ways that highlight their poetic and narrative potential. My installation triggers a physical reaction in the visitor, particularly due to the scale of the piece and it’s uncanny movements. It evokes a personal and embodied experience with architecture as constructed environment. I build structures that are activated by mechanical, electrical, and electronic mechanisms while addressing the modern notion of the autonomous object. This pseudo functional amalgam address pataphysics and refers to the idea of the gadget, the ‘thing-a-ma-jig’, a thing of a vague utility, with an imaginary functionality. Faire la Vague / by Jonathan Villeneuve from PERTE DE SIGNAL on Vimeo. grunt gallery and CSA Space are co-presenting Amelogenesis Imperfecta (How Deep is the Skin of Teeth), and Beautox Me, two related bodies of work that merge David Khang’s dual vocations – in art and dentistry. 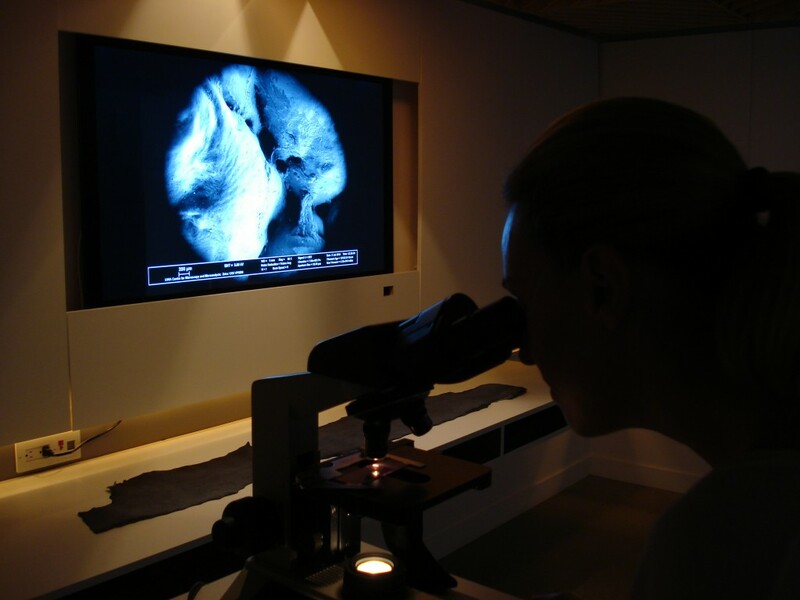 grunt gallery is exhibiting Amelogenesis Imperfecta (How Deep is the Skin of Teeth), a project that combines disciplines from art and dental science to produce microscopic laser-drawings onto epithelial cells. 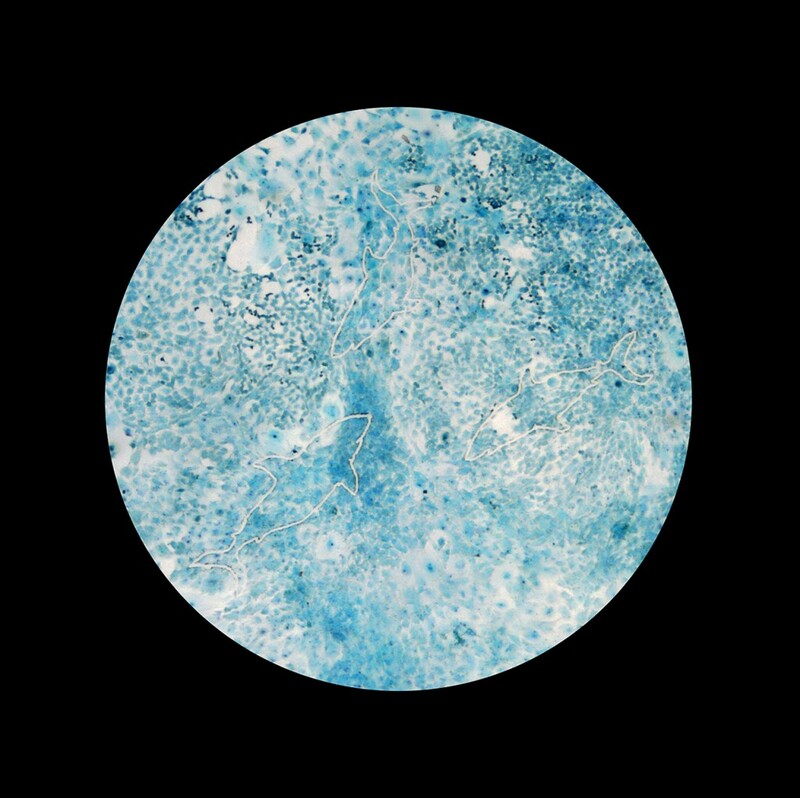 This work is based on research conducted at SymbioticA Centre for Excellence in Biological Arts at the University of Western Australia. Khang experimented with growing enamel producing cells into shapes referred to as “enamel sculptures”. While the project did not reach its original objective to grow enamel, the cells produced during this experiment were cultivated onto glass slides providing an area in which the cells could be drawn on with a precise cutting laser. The exhibition includes an essay on David Khang’s project, “Mashup Destinies” written by Kóan Jeff Baysa. Kóan Jeff Baysa is a physician, curator, designer, writer, critic, Whitney Museum Independent Study Program – Helena Rubinstein Curatorial Fellow, and a member of AICA, the association of international art critics. 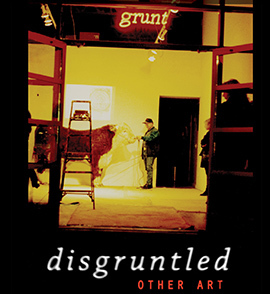 The essay is commissioned by Grunt Gallery. Click here to read the essay. Khang’s practice is informed by education in psychology, theology, and dentistry. He received his BSc (1987) and DDS (1991), both from the University of Toronto, before pursuing his BFA from Emily Carr Institute of Art + Design (2000), and MFA with Emphasis in Critical Theory at UC Irvine (2004). He teaches sessionally at the Emily Carr University of Art+Design. This exhibition is located in grunt gallery’s Media Lab. There is an opening reception, in association with Swarm 13, on Thursday September 6th (7-10 pm). Beautox Me will be exhibited at CSA Space, See Pulpfiction Books(2422 Main Street) for admission. BLIZZARD: Emerging Northern Artists looks at indigenous artists working in the North who are using their traditions to forge new ideas around contemporary art. The exhibition and publication, in development for over two years, looks at the influence of Inuit and Northern traditional art forms and how these are translated by a younger generation of artists whose roots are in the North. How does the landscape and context of the North influence the visions of its young artists and how do our interpretations of that dreaming—our preconceptions about the North—influence our understanding? Curated by Artist/Curator Tania Willard, whose recent curatorial project Beat Nation (co-curated with Kathleen Ritter) just closed at the Vancouver Art Gallery, BLIZZARD looks at a younger generation of Northern Artists schooled in the traditions of their artists families, but breaking barriers by questioning relationships that tie North and South. grunt gratefully acknowledges core funding from the Canada Council for the Arts Visual Arts Section, the British Columbia Arts Council, the BC Gaming Policy & Enforcement Branch, the City of Vancouver and our membership and donors. Specific programs have also been funded by Heritage Canada, The Vancouver Foundation, Canada Council for the Arts, The BC Arts Council, The Saskatchewan Arts Board, The Audain Foundation, Province of BC Cultural Services Branch, Arts Now, and Arts Partners in Creative Development. We thank all funders and supporters of our programs.